In 2014 while attending a beverage industry trade show in New Jersey, I had the good fortune to meet Bert Butler “Tito” Beveridge II, the founder of Tito’s Hand Made Vodka. Yes, Tito’s real last name is Beveridge and while the comparison of his name to the word beverage might get tiresome for him at times, his genuine concern for animal welfare does not. Dapper, professional and genuine, Beveridge struck me as someone who just might like dogs. I’d wanted to ask him if he did, but it was a busy event with many people to meet. I didn’t get the chance. Later, while visiting the Tito’s official website, I detected a distinct dog-loving presence that confirmed my suspicions. 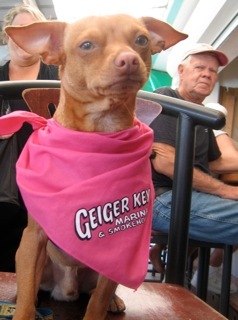 The following year, while participating as a panelist at the BlogPaws Conference in Arizona, I’d discovered that Tito’s Vodka for Dog People was one the sponsors for the event. BlogPaws is the world’s largest organization for those who support animal welfare through blogging and the use of Social Media. The collaboration made sense. Tito’s Handmade Vodka was born in Austin, Texas. Commercial production began in 1997 when Beveridge formed Fifth Generation, Inc., establishing his Mockingbird Distillery. Tito’s Vodka “went to the dogs” when in those early days the budding entrepreneur wished to help the stray dogs wandering near his distillery. Today, that commitment to help homeless dogs has manifested as a marketing platform with a mission; Tito’s Vodka for Dog People, a company established to help raise funds for animal welfare and non-profit organizations through the sale of Tito’s, product donation, event support and branded merchandise. Presently, Tito’s Vodka for Dog People collaborates with thousands of animal welfare non-profits groups world-wide, and partners with approximately 700 additional animal welfare groups on fundraising events each year. 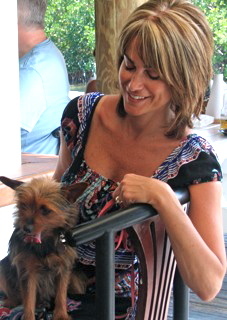 According to Elizabeth Bellanti Pander, Program Manager, Vodka For Dog People this entity embraces the innate connection humans have with their dogs. As she explains, “Working with Tito Beveridge to bring his business dream to life for over 20 years, we’ve been committed to rescuing and protecting the dogs that have come into our lives through this process.” With the continual support of dedicated dog-loving friends and a growing fan base, their goal to improve the lives of pets and their humans far and wide has been successfully met. In their effort to support their work on behalf of dog welfare, Vodka for Dog People partnered with Emancipet, a nonprofit organization with a mission to offer low cost veterinary services and spay/neuter procedures in underserved communities. Through this partnership, Tito’s Vodka for Dog People and Emancipet have helped to reduce the number of pets euthanized in Austin, Texas and elsewhere. Amy Mills, CEO of Emancipet, her staff, and volunteers truly understand that pets bring immeasurable joy to the lives of their humans and that all pets deserve high-quality affordable veterinary care. Emancipet also assists nonprofits in the areas of rescue, transport, therapy and guide dogs. On the Vodka for Dog People’s website one can choose from an array of products of dog-oriented merchandise including wearable items for humans, barware, dog swag and more. All profit from these sales go to aid Emancipet, a Texas-based nonprofit organization with a mission to offer high-quality spay/neuter procedures for area pet owners and affordable quality veterinary care. In 1999, during their first year of operation, Emancipet provided 5,000 low-cost spay/neuter surgeries in the Austin area onboard a mobile clinic. In impoverished areas, Emancipet and the City of Austin partnered to offer “Free Days” for these procedures once a week. With the help of grants from PetSmart Charities and Impact Austin, Emancipet opened their first brick and mortar low-cost spay/neuter clinic, to serve pet owners inside and outside of Austin. In 2009, celebrating ten years of successfully helping animals, they reached the milestone of offering 100,000 free and low-cost spay/neuter surgeries for pets in Central Texas. Within 2 years, Emancipet added a second mobile clinic expanding their service area to include the entire Central Texas region, spanning 7 counties. The positive effect of their efforts is staggering. Since its inception, Emancipet has been responsible for the spay/neuter procedures for nearly 250,000 dogs and cats. By 2016 they’d offered veterinarian care for more than 100,000 pets in locations in Austin, Pflugerville, Killeen, and Houston, Texas and Philadelphia, Pennsylvania. In this new Philadelphia clinic, a caring veterinary technician assists pet owners to determine the pet’s needs. Low-cost spay/neuter services are offered Tuesday, Thursday, and Saturday, with appointments required. walk-in preventive care provided by a staff veterinarian, such as vaccinations, microchipping, as well as flea and Heart Worm prevention are also offered at this location. 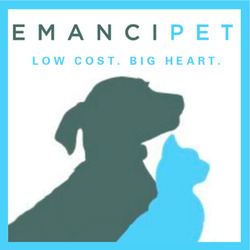 Emancipet’s training team also offers training and support services to help local animal welfare organizations, spay/neuter clinics and public and private shelters. This training aims to boost spay/neuter efficiency and impact, develop leaders and staff, improve customer service, strengthen organizational infrastructure and advocate for strategies and public policy that improve the lives of pets in underserved communities. Emancipet educates organizations to achieve these results through dynamic and fun training experiences that include seminars held in Austin, and elsewhere, providing private personalized training for animal advocates and groups. Vodka for Dog Lovers continues to be innovative in their unique efforts to promote dog welfare. In January 2017 they opened a bar in the Wells Fargo Center in Philadelphia, the venue for the Philadelphia Flyers and 76ers games with a theme that embraces their partnership with Emancipet. A portion of proceeds from cocktails will help to fund their national expansion in the Philadelphia market and beyond. Here’s to Tito Beveridge and his dedicated workers and partners who are enjoying amazing business success and paying it forward for the pets and people who need a helping hand, or paw, in Texas and beyond. May their business and philanthropic initiatives inspire many more to do the same. Good News! Sagitta is scheduled for her Cataract Surgery next week. She will then go on to rejoin her dog brother, Ricoh. Thanks to all who contributed to this cause and/or helped to share the work of Carolina Poodle Rescue. I also thank you on behalf of Sagitta’s Forever-in-Spirit Mother, Gayle, who had to surrender her beloved dogs, but never stopped caring about their welfare. This development has brought Gayle a measure of happiness. Carolina Poodle Rescue (CPR) has a passion for fixing what is broken, a passion shared by this supportive community of dog-lovers. Cataracts, for example, one of the most common genetic conditions experienced by poodles, can be fixed, increasing the adoption chances of even older dogs. In late 2016, CPR introduced a group of dogs in need of cataract surgery. Thanks to the generosity of many, nine have already had surgery and are starting new lives. Now, CPR introduces three more in need of help. With their eye sight restored, these dogs can be placed in new homes. The good news is that half the funds needed for these dogs has already been raised, but your care is needed to see this fundraiser all the way through to a successful conclusion. Right now, CPR is offering a two for one offer for Mack and Max, two miniature poodle boys. According to Donna Ezzell, Director of CPR, “A generous angel will pay for surgery for one – if CPR can raise what is needed for the other.” Mack is about nine years of age and was surrendered to a shelter by his owners with no explanation. Max is about ten, and came to CPR under the same set of circumstances. Then there’s Sagitta, a beautiful white Standard poodle. Loving and lovely, Sagitta has never met a stranger. Whether she’s preening like a model, or rolling in the mud at the barn, Sagitta has a zest for life that brings smiles to all she meets. Sagitta is much-loved by her previous owner, Gayle. Gayle is no longer able to live on her own and now resided in an Assisted Living facility fighting physical battles of her own with Multiple Sclerosis. No longer able to care for Sagitta and Ricoh, a stunning black Standard poodle, she had to give up both. Happily, Richo has been placed in his forever home, and now Gayle has become Sagitta’s champion, tirelessly fundraising on her behalf. Gayle has already raised over half the funds needed for Sagitta’s surgery; $1200 of the $ 2,100 needed. CPR is now trying to help raise the other half so that Sagitta can have her cataract surgery and join Richo with the family who wishes to keep them together forever! Ricoh and his human visits with Gayle at her Assisted Living facility on a regular basis and Gayle can’t wait for the time when both dogs can be reunited and visit together. Mack and Max, surrendered by no fault of their own, are living their golden years in the dark. Having their vision restored will increase their chances for adoption. Sagitta’s former owner is struggling physically. Having her girl near her will help her tremendously but only if Sagitta can be healthy. Here’s how you can help. Please support CPR during their “$30.00 for 3 Dogs” campaign. Presently, we are seeking just over $3,000 to get these dogs on the way to health and new homes. $30 .00 is a small gift that will mean the world to these three deserving dogs and to one very special,very brave woman who wants nothing more than to see her dog again. CPR is a 501c3 organization, recognized by the IRS as a charity. All donations are tax-deductible. To donate, please visit our donation page and let us know that it’s for the gift of sight. Since introducing our first group “cataract dogs” in late 2016, CPR has raised funds for nine other dogs. Of that group, four have been adopted and the rest are recovering and the process of their rehoming has begun. If you are interested in opening your home and heart to one of the CPR after they’ve undergone their surgeries, please visit our webpage at www.carolinapoodlerescue.org and complete the adoption application. If you are a pre-approved or previous adopter, please drop a line to applications@carolinapoodlerescue.org with the name of the dog that you’d like to meet. Healthy and Happy CPR Adoptees! This post received the North Shore Animal League America Special Award given by the Dog Writer’s Association of America on February 12, 2017 for excellence in the writing on the topic of Spay and Neuter Initiatives in the nation. A colleague in the animal advocacy community once declared, “We can’t rescue ourselves out of this mess,” when discussing the seemingly never-ending problem of pet overpopulation. For many, Spay and Neuter initiatives are regarded as the most humane form of rescue and advocacy. If we can stem the tide of unwanted pets, we can offer better care for those animals that will inevitably find themselves unhomed despite our best efforts. At the BlogPaws conference in Phoenix Arizona in June, this topic seemed to “find” me as I became aware of how groups in different parts of the nation addressed these issue. BlogPaws represents the largest community of pet-professionals, advocates and writers in the world, with the common goal to improve the lives of companion animals. We sometimes, forget, however, that different regions of the nation face unique challenges when advocating for our companion animals. At BlogPaws, I met Krystyn Bleda, a life time animal advocate from New Mexico. Krystyn and her husband, Raymond Sandor, are the co-founders of Desert Paws, Inc. animal rescue. Residing in Cochiti Lake, a small leasehold town on the Pueblo de Cochiti Indian Reservation, the couple with a slew of volunteers provides hands-on rescue, caregiving and transportation for Spay and Neuter procedures and veterinary care for tribal members animals from the neighboring three Pueblos. Dixie-A Happy Cochiti Success Story! Eventually, the Governor of the Cochiti tribe invited them to sit down and discuss possible solutions to address this situation. Krystyn and her husband developed a low/no cost Spay and Neuter program and worked with a local veterinarian, developing a solution on how to handle their appointments and emergencies. They were also able to attract several long term donors to help sponsor their Spay and Neuter program specializing in a tribal setting. The challenges of animal advocacy in these rural, sovereign tribal communities are unique and significant. Although, many individuals care deeply about their pets, due to lack of resources on and around tribal lands many cannot easily obtain basic veterinary care, including Spay and Neuter procedures. As one of the poorest states in the nation, with a general population that is not well informed about the benefits of Spay and Neuter and lack law in their enforcement of inhumane chaining of dogs and backyard breeding, the municipal shelters of New Mexico are burdend by overcrowding. Previously, veterinary students had come to the area to perform Spay and Neuter procedures, however, it didn’t work in many areas due to the lack of participation from locals. Many of the animals in the community are free-roaming, never even having been in a vehicle or a house making for surgery “round-up” efforts very difficult. In addition, tribal lands present unique challenges due to cultural beliefs stemming from agricultural lifestyles. People are not well- informed about common pet illnesses, treatment possibilities and yearly veterinary maintenance of a dogs or cats such as vaccines, heartworm, flea/tick prevention methods, and transmittable diseases. Clementine – ready to be someone’s new Best Friend! Raymond notes that Cochiti Pueblo is one of the smaller pueblos, and now the goal of Desert Paws Inc. is to help the larger neighboring pueblos of Santo Domingo and San Felipe, and later on possibly expand the programs into the Navajo Reservation farther west and north. Krystyn stresses that she and her husband could not accomplish all of this alone, saying, “Thanks to the relentless efforts of our board member and volunteer coordinator, Margaret Evans, we now have the best volunteer crew!” In order to grow and accomplish more, however, they are looking for more funding and sponsorship for the rescue and a reliable, newer vehicle for transport is needed immediately. In the very near future, Desert Paws Inc. also hopes to raise funds to purchase a building, which they will convert into a surgery/veterinary clinic and hold/recovery facility in a more closer, central location. It is clear that Desert Paws Inc. and the Cochiti Pueblo’s government came together at the right time to prevent the cycle of pet over-population in their native land. Through community collaboration, the dog and cat populations have lessened and its animal (and human) members are much happier and becoming healthier. These ground-breaking efforts have created a model that can be and need to be replicated elsewhere whether on sovereign tribal lands or on any rural areas in America. Small rescues can and need to play a huge part of these efforts and state governments need to offer a helping hand (and financial sponsorship) for such rescue organizations and their programs.